The tenth entry in the Final Fantasy series, and the first one on PlayStation 2. Visually impressive, and the first game in the series to use voice acting, it also featured a much more refined battle system emphasizing teamwork, and an innovative, yet surprisingly not irritating, stat/character growth system. The downside is that the game was incredibly linear, with most of the game simply involving walking down a very long straight line. Of course, most people remember it nowadays for a scene featuring what is perhaps the best worst laugh in a video game. It was also the first Final Fantasy game to feature a direct sequel, the very awkwardly-named Final Fantasy X-2. 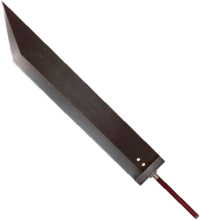 The Buster Sword from Final Fantasy VII exists within the game as a weapon for Tidus. Using a save editor, it is possible to hack it in-game and be usable. There are a number of unused songs in FFX. Interestingly, three of them appear to have been composed by one each of the game's three composers. These three tracks also appear on the Final Fantasy X HD Remaster official soundtrack as bonus tracks. A peppy yet mysterious-sounding song that'd feel right at home in Threads of Fate, whose soundtrack was also composed by Junya Nakano. No idea where this would've fit in, but it's not in the in-game music test. Called "OMAKE 1" on the remastered soundtrack. This song is also not included in the in-game sound test, and is entirely unused. Sounds rather melancholy; likely intended for serious/sad cutscenes. It's very similar to Masashi Hamauzu's other contributions to the FFX soundtrack, and was probably composed by him. Called "OMAKE 2" on the remastered soundtrack. This is the most well-known of the three unused songs, as it's an unlockable bonus track on the in-game music test. However, it's never heard in the game proper. Its intended usage is pretty obvious, but "Blitz Ball Gamblers" is always used in Wakka-centric scenes. Given its similarity to the music from Final Fantasy IX, it's likely this song was composed by Nobuo Uematsu. Called "OMAKE 3" on the remastered soundtrack. Tidus hums the Hymn of the Fayth at one point, but this alternate female version is never heard. It's unclear whether it's Yuna or Rikku humming this version, however. 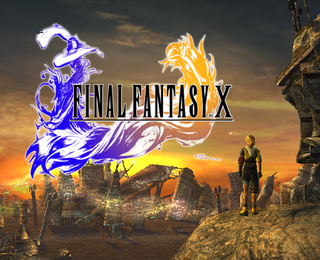 The European version is based on the Japanese international version, Final Fantasy X International. It features extra content such as the Dark Aeons and Expert Sphere Grid that were in Final Fantasy X International. The European version got more content to make up for the delay and the technical issues of porting an NTSC game to the PAL image standard. This page was last modified on 13 July 2017, at 18:22.